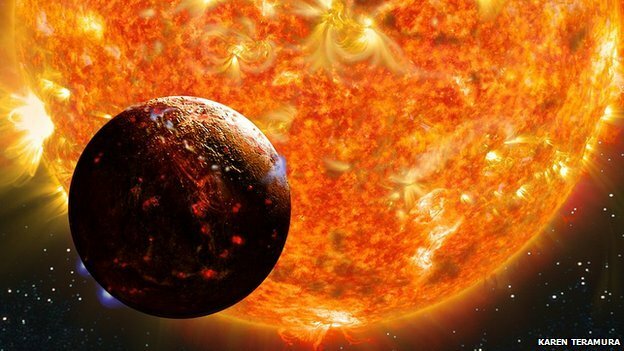 At some point in the future, if mankind hopes to settle planets outside the Solar System, it will be crucial to determine the range of planetary conditions under which human beings could survive and function. In this article, we apply physical considerations to future exoplanetary biology to determine the limitations which gravity imposes on several systems governing the human body. Initially, we examine the ultimate limits at which the human skeleton breaks and muscles become unable to lift the body from the ground. 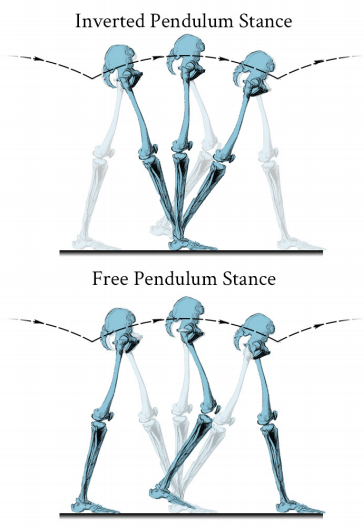 We also produce a new model for the energetic expenditure of walking, by modelling the leg as an inverted pendulum. Both approaches conclude that, with rigorous training, humans could perform normal locomotion at gravity no higher than 4 gEarth. 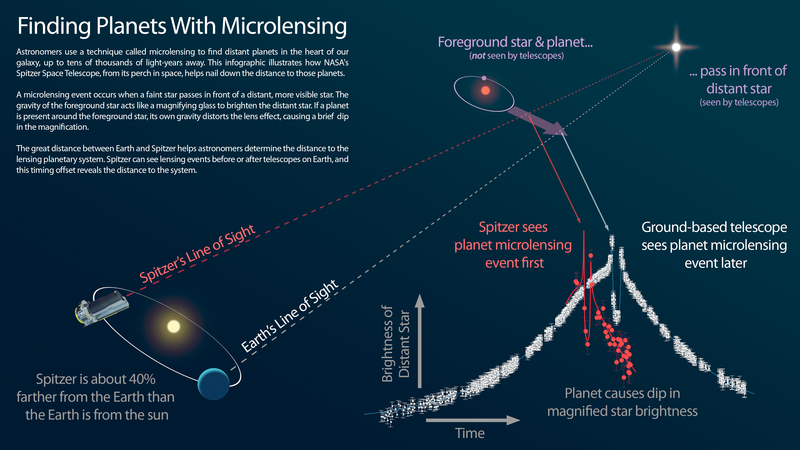 An infographic showing how NASA’s Spitzer Space Telescope works with ground-based telescopes to find distant exoplanets, using a technique called microlensing. A Neptune-size planet with a clear atmosphere is shown crossing in front of its star in this artist’s depiction. Such crossings, or transits, are observed by telescopes like NASA’s Hubble and Spitzer to glean information about planets’ atmospheres. 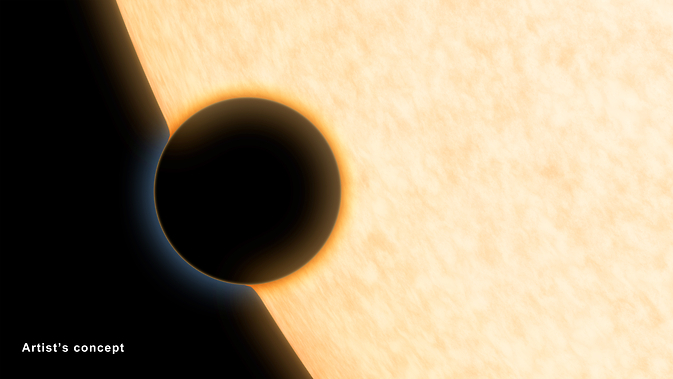 Astronomers using data from three of NASA’s space telescopes — Hubble, Spitzer and Kepler — have discovered clear skies and steamy water vapor on a gaseous planet outside our solar system. The planet is about the size of Neptune, making it the smallest planet from which molecules of any kind have been detected. Astronomers have created the first map of the clouds on a planet outside our Solar System. 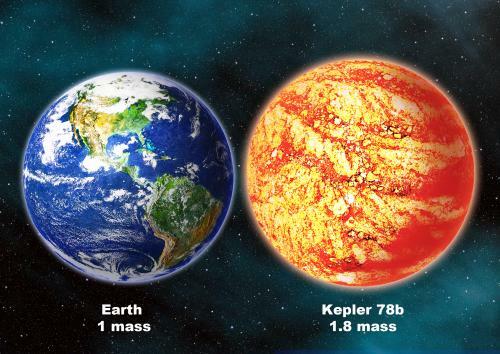 The planet in question is Kepler-7b, a large gaseous world like Jupiter, roughly 1,000 light-years away. The researchers used data from Nasa’s Spitzer and Kepler space telescopes to study the exoplanet, which orbits close to its parent star. Their results suggest the hot giant is marked by high clouds in the west and clear skies in the east. The findings have been accepted for publication in the journal Astrophysical Journal Letters. “By observing this planet with Spitzer and Kepler for more than three years, we were able to produce a very low-resolution ‘map’ of this giant, gaseous planet,” said co-author Brice-Olivier Demory of Massachusetts Institute of Technology (MIT) in Cambridge, US. Astronomers have previously been able to make temperature maps of planets orbiting other stars, but this is the first look at cloud structures on a distant world. 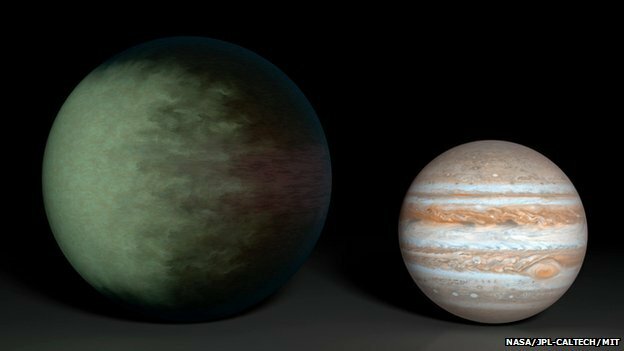 Kepler-7b is something of an oddity – bigger than Jupiter, but lower in mass – with a density about the same as polystyrene. The Kepler telescope’s visible-light observations of this distant world’s moon-like phases led to a rough map of the planet that showed a bright spot on its western hemisphere. But these data were not enough on their own to decipher whether the bright spot was coming from clouds or heat. So the team used Spitzer to gather further clues about the planet’s atmosphere. They determined that light from the planet’s star was bouncing off cloud tops located on the west side of Kepler-7b. “Kepler-7b reflects much more light than most giant planets we’ve found, which we attribute to clouds in the upper atmosphere,” said Thomas Barclay from Nasa’s Ames Research Center in Moffett Field, California, US, who works on the Kepler telescope team. Nasa says the findings are an early step towards using similar techniques to study the atmospheres of exoplanets that are more like Earth in composition and size. The Kepler mission has now ended because of problems with the spacecraft’s reaction wheels – the spinning components that aid fine-pointing of the satellite. But astronomers are still studying the data it gathered; the mission has so far discovered more than 150 bona fide exoplanets and thousands of other candidate worlds.